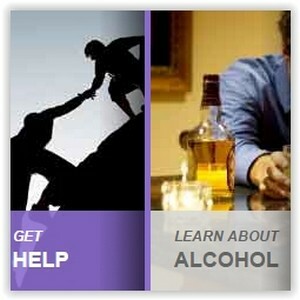 If you are concerned about your own use of alcohol or drugs, or you are worried about a family member, co-worker or friend, you are to be congratulated. Taking that first step isn’t easy–we applaud you for your courage and the initiative you’ve taken. The choice you are making–to do something about your own or another’s addiction–is one of the most important choices you’ll ever make in your life. There are many paths to recovery and several ways to get the help you need. Sometimes it takes an inpatient rehab stay. Other times, an outpatient treatment program provides essential assistance. Quite often, AA (Alcoholics Anonymous), NA (Narcotics Anonymous) or Al-Anon Family Groups and Nar-Anon for family members, give people just what they need to get well and lead a better life. You don’t have to wait until you hit rock bottom, your child gets in trouble, your marriage is destroyed or someone gets hurt. We offer you a variety of links on this site so you can find the right direction for you, your family or your friends: in your community, near where you live. NCADD Affiliates offer a range of services including help for individuals and family members.